We had to find more because if there was one thing that we know for an almost certainty, it is that Sedna is not alone. Each of the different theories about why Sedna exists predicts something very specific about the other things that must invariably exists in the outskirts of the solar system along with Sedna. For example, if Seda has been kicked into its current orbit by an unknown Planet X orbiting somewhere not far beyond Neptune, then this X would have done a lot more kicking, too, and the others out by Sedna would all have orbits which travelled to the far reaches of the solar system but then looped back to the location of X. The spot they all travelled back to would, in fact, mark X. If, in contrast, Sedna’s peculiar orbit was created when it was flung in the outer reaches of the solar system by a single star which had wandered unexpectedly close to our sun, then the orbit of every single other object out by Sedna would be able to be traced back to a kick from that single precise star. Finally (at least among my initial theories), if Sedna had been pulled into place by many tiny tugs exerted by a myriad of starts born in the same cluster as the sun, there would be almost no pattern. Objects out by Sedna would be at every tilt, distance, and elongation possible. The other theories each had their own unique pattern, too. If we could only find more of these distant unexpected objects like Sedna, we could read their pattern – or their lack of pattern – to understand precisely what had happened earlier in the history of the solar system. It would be easy, if only we could just find a few more. Sedna itself had been an unexpected discovery in our ongoing search of the skies. Night after night we were systematically scanning the darkness, looking for faint points of light moving slowly over the hours. Sedna was moving so slowly – because it was so distant – that at first we didn’t even think it could be real. But it was. And when we realized that we needed to find more, my first thought was simply: keep on doing what we were doing. At the time that we found Sedna, we had covered about a fifth of the sky. So by simply continuing our normal search we were bound to find something good sooner or later. Find something good indeed! In the years that followed, as the area we had searched grew, we found Orcus, then Haumea, then Eris, then Makemake. The outer solar system would never be the same. But the one thing we never found was anything remotely like Sedna. Not finding anything else like Sedna was disappointing, of course, but, really, not surprising. Sedna was so far away and moving so slowly that we had almost missed it the first time around. And Sedna’s orbit is so elongated that is spends the vast majority of the time even further from the sun than it is now. In fact, most of the time Sedna is so far away from the sun that it would be moving so slowly that we would have missed it entirely. Of Sedna’s 12,000 year orbit around the sun,, we would only have been able to detect it for the 200 years when it was the absolute closest to the sun. We were lucky to have found Sedna to start with. We would need luck to find more. Or, if luck wasn’t going to work, as it appeared it wasn’t, we would need a plan. And better than one plan, we decided on two plans. OK, plan one. If your big problem is that everything you’re looking for is so far away that it is moving too slowly for you to be able to notice it, the obvious solution is to watch more carefully for things moving more slowly. In our case, watching more carefully simply meant taking pictures further apart. In our first search across the skies, we took 3 pictures spaced by 3 hours. Anything that moved even slightly during those 3 hours was suspect. But something so far away that it looked stationary over 3 or 6 or 10 hours we would have just called a star like everything else stationary in the sky. The solution? Obvious. Take pictures further apart. Consistently taking pictures of the the sky more than 3 hours apart during a single night is hard, so we switched, instead, to pictures 24 hours apart. With that dead simple modification we could suddenly see things moving 23/3=8 times more slowly, meaning 8 times further away. Even better, after the discoveries of Eris and Haumea and Makemake, other astronomers were willing – eager even – to monopolize the telescope for our quest. Where our previous search had occupied at most 2 hours per night on the 48-inch Schmidt telescope at Palomar – a telescope specialized for broad views of the sky like we needed – our new survey was going to take fully half of all of the time available. We would sweep up the sky at an incredible rate. We were going to go so fast, in fact, that we decided it would be best to simply start from the beginning. So after having finished the largest astronomical survey for slowly-moving objects in modern history, we immediately turned around and began an even larger astronomical survey for even more slowly moving objects. What an exciting survey! In our earlier survey we had found almost all of the known major dwarf planets. Now we could see things even 8 times further! If Sedna was the tip of the iceberg, as we suspected, we were about to be overwhelmed. For 18 months we probed night after night. We found a lot of things which had been overlooked the first time around, objects in the Kuiper belt which had been in one of the blind spots of the camera or hiding so close to a bright star that it couldn’t be distinguished, but nothing in the far reaches were Sedna float – so far – alone. In fact, we only had a few days left before the telescope was to be taken out of service for major refurbishment, when something slow moving finally appeared in our pictures. It was far away – OK, not quite as far away as Sedna –but, still, it could be the next piece of the puzzle for which we were looking! There was one problem, though. While we could tell that the new object (which we nicknamed “Snow White” based on what turned out to be an utterly wrong guess about what it would look like up close) was far away, we had no idea if, like Sedna, it was far away and moving even further out, or if, like many objects in the Kuiper belt, it was just spending a little time far away before plunging back towards the sun like a normal Kuiper belt object. We didn’t know simply because Snow White was so far away and moving so slowly that it would take a long time – not a day this time, but a year – before we could tell which way it was headed. We had no choice but to wait, come back a full year later, and look again. But we didn’t have to sit around that whole year doing nothing, because, of course, we also had plan number two. To be continued. And eventually finished. Promise. (I'm curious to know what this "Snow White" is). As a thought - if a "planet X" reasonably close to the sun would cause lots of objects to have orbits with perihelia near X's orbit, what if the supposed planet was actually very FAR from the sun instead? I'm not sure if it works like this, but could you then end up with many objects having the same *aphelion* distances, which mark where the distant X's orbit is? (so basically, you're reversing the original situation?). Is there any evidence for that at all? Also, I can't track down a ref for it right now, but I'm sure I read an article a few years ago (this might be it? http://www.springerlink.com/content/q11p118835j6351m/ ) suggesting that there might be a clustering of comet orbits about 80 AU from Sol, suggesting a possible planet-sized object there (now I look at that again, maybe my idea posited above has some validity!). Did anything ever come of that? You also remember correctly, but these days it looks like that 80AU thing is just a fluke. Thanks, that clears things up a little! "Snow White" sounds interesting - did it ever get an official name? Best I can tell, the only name that 'Snow White' has so far is (225088) 2007 OR10. Hrm, and http://www.wired.com/wiredscience/2010/11/oort-cloud-companion/ appeared today as well. The actual paper appears to be http://arxiv.org/pdf/1004.4584v1 (submitted for publication in ICARUS). Possible spoilers for Part 4? Hi Mike,.. I Think that this article is progressive and these models too,... Real situation in our solar system should be somewhere between Planet X and Rogue Star,...Astronomers should cooperate more with geologists, historians. There are clear shorter periods (1300-1700 years long)of strong earthquakes (researches from mediterrannian area), 20 degrees Celsia changes in icebergs of Greenland, Antarctica,..GISP2, VOSTOK,..projects - also evident 1300-1700 years long periodicity . There are circa 26000 years long periods too. These researches could be evidences for Planet X (1300-1700,..period, on high elliptical path with eccentricity 0,993,.. ) and for more distant Nemesis with eccentricity closer to 0. Mike, suppose the typical albedo of these objects is closer to the comet nuclei value of 0.04. Perhaps Sedna is anomalously bright, e.g. because of recent activity, and there are many more darker objects, otherwise due to long term cosmic ray irradiation? Could you detect in IR with JWST or another instrument? The Kuiper belt mostly ranges from 35 to 50 AU, with a sharp drop off in the number of objects beyond 50 AU. Doesn't this suggest that there is a large object screening out KBO's beyond the 50 AU limit? is an interesting paper by Richard Muller & crew that suggests that lunar cratering rates in the Solar system changed suddenly 3.5 and 1.2 billion years ago then dropped off. Intriguingly, cratering rates in the past 500 million years have increased. I think there WAS an object much like Matese and Whitmire postulated but that it was torn away by a passing star 500 million years ago. It was responsible for the Kuiper cliff at 55 A.U. I think. Maybe it's in a 26 million year eccentric orbit now that has a perihelion close enough to knock comets loose from the Kuiper belt. I think the Oort cloud is the wrong place to look. KBO's have all kinds of inclined orbits. It looks like something disturbed it. My simulations on Gravity Simulator indicate a mass of about 5+ Jupiter masses. It would seem rational and practical to start with your simplest (to empirically prove) explanation and rule it out, before moving onto your next most difficult to prove theory. It also seems that another potential "controversy" is about to rear its ugly head. 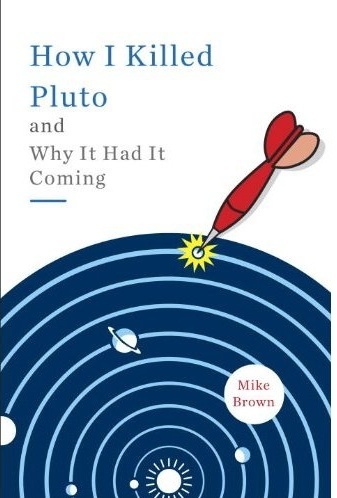 Remember what happened to poor Pluto after the discovery of Eris. Well, on a different level we may have a healthy debate as to the structure of our Solar System, i.e. in what defined areas do objects reside. We have words or terms for areas where long known objects reside such as the inner Solar System, asteroid belt, outer Solar System etc. But as we venture beyond Neptune, the areas we find objects in and their boundaries are not clearly defined or named. Sure we have names for areas beyond Neptune such as the Kuiper belt, Scattered disk and Oort cloud, but what are their boundaries, are their other unnamed areas, are their sub-regions, where are these well defined areas and what do we call them? Also, can they and do they overlap? Although some objects migrate from one area to another such as comets traveling from the Oort cloud to the inner Solar System, we need to be able to say "comet X came from the outer Oort cloud and traveled to the inner Solar System." Remember the astronomical question "what is a planet?," well the new questions of the second decade of the 21st century are "what are each of the areas (beyond Neptune) of the Solar System called?" "What are the boundaries of these areas?" "Which objects reside within the boundaries of these areas?" As a teacher, I need to be able to say something like "Sedna, a dwarf planet, resides in the extended scattered disk area of the Solar System." I cannot say "Sedna, a dwarf planet, resides either in the scattered disk or extended scattered disk or the detached object area or the inner Oort cloud area of the Solar System." It cannot be too difficult to set limits and boundaries of the Solar System, including the Solar System itself, and provide names for those areas. The astronomical community "decided" what requisites an object must have to be called a planet. Now it is time for this community to define the areas of our Solar System (SS), i.e. the inner SS lies between 0 AU to 2.3 AU; the asteroid belt lies between 2.3 to 3.3 AU; the outer SS lies between 3.3 AU to 30 AU; the Kuiper belt lies between 30 AU to 50 AU; the scattered disk lies between 50 AU and 150 AU; the detached object region lies between 150 AU to 1,000 AU; the Oort cloud lies between 1,000 AU to 100,000 AU. I am not an astronomer, but to teach science (astronomy) I need to be able to see, measure and explain concepts and need clarification to demonstrate, illustrate and teach them. > I cannot say "Sedna, a dwarf planet, resides either in the scattered disk or extended scattered disk or the detached object area or the inner Oort cloud area of the Solar System"
You can say "Sedna, a dwarf planet, has an elliptical orbit with perihelion N and aphelion M. IOW: it is always much farther from the Sun than Neptune. Currently, scientists don't have a solid theory how and where Sedna was formed, and how it ended up in its current orbit". This way, your students will get used to the idea than science is not just a set of cold, solid, boring rules and definitions. There are unsolved problems in it. Is it correct to stipulate that "all SDOs eventually become Centaurs" ? Something that massive would be SO EASY to detect in SO MANY ways. I can say, with certainty, that such a thing DOES NOT EXIST. I rarely say anything so emphatic. This one, though, I am so confident about that I am willing to be quite emphatic. I think the only thing you can say with certainty (other than the comment above, about which I am certain) is that given an infinite amount of time all SDOs could become Centaurs. But it is not clear that it will happen before, say, all of the protons in the universe decay. As a teacher, I must explain certain concepts that both explain things to the students and engage them in the world of science. Regarding the regions of our Solar System and the objects that reside in them, needs some explanation and clarification, i.e. If the 8th planet, where the outer Solar System ends and the Kuiper belt begins, can either fling objects, big and small, into the region beyond it, presumably the Kuiper belt or capture (dwarf planet) sized objects (Triton) and smaller objects too. With this known, how is it that the scattered disk region is well beyond the Kuiper belt; how does this work? Some scientists believe that all of the Kuiper belt and scattered disk objects were flung out there by the gas giants, especially Neptune. To no disrespect to Messrs. Kuiper and Edgeworth, but it would seem best to refer to the area immediately beyond Neptune (the area currently referred to as the Edgeworth-Kuiper belt), as the inner scattered disk and regarding the area now known as the scattered disk and extended scattered disk would remain the same. The term Edgeworth-Kuiper (inner) scattered disk (belt) could be used for formal uses. I would say that Sedna is a scattered disc object **currently beyond the reach of Neptune's influence**. This latter part is what is important and worthy of note. Too many objects cross too many regions. What is the difference between a minor planet, centaur, and comet? Sometimes there is no difference. I would be reluctant to define an exact edge to a disc of random bodies. The MPC combines their list ofcentaurs (scattered inwards) and SDOs (scattered outwards). The Kuiper Belt and scattered disc are often treated as one region simply beyond Neptune. My general rule: Remember to define an object by what it is not where it is. There are too many grey areas: Is Pluto a planet? Is our moon a planet? Is Ceres still the largest asteroid? For clarification, perhaps objects of various compositions and originating in varying areas of the Solar System does not need finite definitions or limits, but the term "scattered disk" implies that the theory of such a region that is occupied by somewhat similar objects, except for a few anomalous objects, was populated (not created) by the gravitational forces of the outer gaseous planets; not by passing stars, star clusters or hidden planets. If "scattered," is meant that all objects were randomly tugged, pushed, pulled, struck, forced or otherwise manipulated into the scattered disk portion of the Solar System, that is fine. Then astronomers whom refer to the area that planets such as Sedna occupy, as the (inner) Oort cloud or detached object region, cause non-astronomers such as me, to see too much ambiguity in this area of science. Either Sedna was formed where it now resides or it was formed elsewhere and somehow made its way to where it now resides. It may take many years to figure out the details, but for now lets decide what we know (or think we know), i.e. Sedna is either too far from outside influences to be part of the scattered disk or it was a member of the scattered disk, but was pushed or pulled into the detached object region or inner Oort cloud (do we know if it is possible for any of the gas giants could have ejected Sedna to its current area). If Sedna is too remote to have been flung out there by any of the gas giants, then we must either consider the possibility that some of the objects in the scattered disk were pushed into place from outside the Solar System (barring discovery of a large planet in the zone of influence) or perhaps, that such objects in the detached object region or Oort cloud can do as they please, without influence from other bodies. When the astronomical question of "what is a planet,?" was asked by the astronomical community, they over-analyzed the question and came up with a narrow answer. In brief, we need clarification in some areas and not so much in others. I agree with your sentiments regarding the following comment "My general rule: Remember to define an object by what it is not where it is. There are too many grey areas: Is Pluto a planet? Is our moon a planet? Is Ceres still the largest asteroid?" Ganymede, Titan, Callisto, Io, Moon, Europa, Triton, Eris and Pluto probably should be classified as planets, i.e. the right size (mean radius of 1,000 kilometers +); however, Ceres, should be considered a planetoid, not an asteroid or dwarf planet. Why should anything other than size and density matter? Perhaps because it is just too plain and simple? Fascinating. Can't wait for Part 4. Did a quick internet search to see how many "Sedna-like" objects already discovered. Came up with a few interesting results, (2004 VN112 and 2007 TG422). Not enough, of course to determine which of the three options is likely. But I checked out their orbits on JPL and the commonality I see is that all the orbits are elongated in one direction as Sedna's (though not so far out), rather than a more centered and "circular" orbit such as Quaoar. At least we can see that Sedna's enlongated orbit does not appear to be unique. (87269) 2000 OO67 and (148209) 2000 CR105 have interesting orbits too! There is also my explanation why it is so,.. If you look on map of Earth with ice cover from last ice age so it is clear that there had to be pole shift circa 15-20 degrees. Why? When Middle Europe was under ice sheet, England too,...and when Eastern Siberia was warm without ice sheet so it means that north, south poles were on other places. Nibiru/Planet X is regularly, during some it's arrivals to perihelia making these shifts. These facts are absolutely ignoring by so called modern mainstream science. this is one of the worst world conspiracies!!! Do you have other explanation, reasons,...for pole shifts 15 and more degrees, for sudden long time (1500years,..) lasting 20 degrees Celsia temperature changes in Greenland,... What do you think about? I do not have the room 4 this so I will say in txt speak if gravity knows no bounds, travels faster than light and is part of time then we could be being pulled outward into the amassed gravity of the universes we can't c yet. If there are 3 parts to gravity ie force attraction and waves then they may work against each other to make gravity seem weaker than it is. wave may pus as might force of opposing gravitational bodies. math might be enough to check this. I am more interested in waves as they may add in a way to the mater of our universe. A black hole orbiting our system might be unobservable with usual mentioned techniques. A paradox of sorts. Are you expecting (or hoping for) any results from the WISE telescope mission in April or May of this year that might further your studies of the outer solar system? I'll say it, since I am sure other folks are thinking it: We need to get NASA ESA et al to plan, fund, build and launch a dedicated Sedna probe. This would be a logical follow-on to the Pluto mission. Including a mini-lander would be nice, but the energy costs would almost certainly be (no pun here) astronomical. Seems to me that all of the minor planets out past Neptune have things in common. The five planets you have discovered all have rocky cores. Rocky cores means they are dense. Dense means they originated in something much bigger than exists today. They all seem to have a lot of ice on them. So far, they have been all about the same size give or take a little. That is a vital clue. There are smaller bodies attracted to them providing moons. Is that debris from something bigger? They have eccentric orbits. Orbits way off the plain of orbits in the solar system. As much as 30-40 degrees off the normal orbit of the major planets . . . Throws a lot of planetary theory out the window. Not a lot to go on there. I propose that we are looking in the wrong place. There is a gap in the asteroid belt out there. It is speculated that something huge went through somewhere in the past. Everything I have stated so far is fairly obvious. These are given facts. I would like to know if there is an angle obvious in the gap? In other words, did this object go straight through or did it go through at an angle? That might be a vital clue as to where it is. Is there one gap or are there many gaps? If there are many gaps then you are looking at a stable orbit of something big. If there is one, then it came through and did not return. Or the planet and the gap are traveling at the same speed so it goes through the same place over and over again. Not probable but it might happen. Is the gap larger on one side or the other? That could tell which direction the large body took as it went through. How large exactly is the gap? Asteroids to me means remnants of a planet much larger that was somehow destroyed. It could be argued that it is the leftovers from the development of the major planets. It could be a smaller body was pulled apart by something much larger. It could be the planet had an unstable core that blew it apart. What does the background radiation look like? Or can we tell. What would critical mass on such an object be? If so, it would have to be very dense to begin with and have unstable elements in it. It could be a planet several times larger than Jupiter went unstable and blew itself apart. Too little evidence to tell a story at this point. Need geologists with samples to tell a tale. Probably won't see that happen in my lifetime. It would explain the large number of moons in our Solar System. Do we have a necklace effect like the asteroids between Jupiter and Mars? Or do the asteroids make up a ring around the entire solar system? The former implies a collision. The later implies something entirely different happened. Saturn is the planet with the best known ring system. The moons around Saturn appear to have a shepherd effect governing the preservation of those Rings. The question then becomes do we have Shepherd moons around the outer asteroid belt which would create a Ring effect? How dense would they have to be to cause such an effect and how big would they have to be? You may have a number of Earth sized planets out there if we have shepherd planets around the ring. Again it is an unknown. A suggested acceleration of the sun's barycenter of 6*10 to the minus 7, based on interpreting anonymously slow pulsar spin down rates as not intrinsically related but due to solar system motion, combined with an orbital time period of 24,000 years, based on interpreting the precession of the equinox as due to solar system motion (accelerating) rather than due to a wobbling earth, would require an object of approximately one solar mass (1.17 to be exact) at a distance of 1080 AU. Since the anonymously slow pulsar was located in the opposite direction where Sedna reaches perhelion in 2076 AD at 76 AU, the object in question may lie in the approximate direction where Sedna reaches aphelion in 12,000 years at 937 AU. Here we are 5 years later, is there a result of the "to be continued..."
We now know what you are getting at is planet nine which I propose you name Liber (Dionysius in Greece) because he is one of the few major Roman gods that does not already have a planet or an asteroid named after him, and 7 of the 8 planets are named after Roman gods. He was the last major god to become a god, and this might very well be the last planet to be discovered in our solar system. He traveled to India which in ancient Rome was a distant land, and planet nine has an elliptical orbit which takes it into distant regions of our solar system. He was accompanied by drunken satyrs and maenads, and planet nine has a highly inclined orbit compared to the other the other planets and it overlaps its orbit with objects in the scattered disc that have similarly inclined orbits. He is often depicted as effeminate which means he would not have been as massive as the other gods, and planet nine is predicted to be a gas giant but smaller than the other four. He was associated with death and rebirth, the idea of a ninth planet has been disproven and reconceived several times. He was the god of freedom and the unexpected, and planet nine based on its size, distance from the sun, and orbit has freed itself from how we believe a planet should be and its latest prediction was unexpected. Also Liber was a god whose mother was not an Olympian and planet nine might not have formed in our solar system. One could argue that Dionysius was a "perturber" in Thebes and Lycurgus. Also his companion, Silenus, was obese (aka a phattie). Is planet nine responsible for the Kuiper Cliff, or is that a separate potential planet? If there is another planet out at the Kuiper Cliff we should name it Faunus after the Roman god of shepherds. Much like the shepherd moons in Saturn's rings this planet would be the shepherd of the Kuiper Belt. Or Quirinus just because he is the only major Roman god after Jupiter and Mars that does not yet have a planet, and in modern times he is obscure like planet nine.